Today we’d like to introduce you to Godeleine de Rosamel. Godeleine, we’d love to hear your story and how you got to where you are today both personally and as an artist. I always loved drawing. It was my favorite thing to do as a kid. Later, I went to art school with the intention of becoming a graphic designer, but I ended up enjoying much more the freedom of illustration. After graduating, I was very fortunate and built a nice career as a children’s book illustrator for both my own and other writers material but after 20 years I realized that I was not really giving it my best. I was not inspired. I was afraid that it might be foolish to stop accepting good assignments but I decided to take a break and think about what to do. Six months later, I found out. I had been doing ceramics a lot again. I had started in childhood but had always considered it as more of a hobby than a serious pursuit. When I moved to Los Angeles I found this very sweet backyard home kilns where you could rent time and do your thing and that was great. 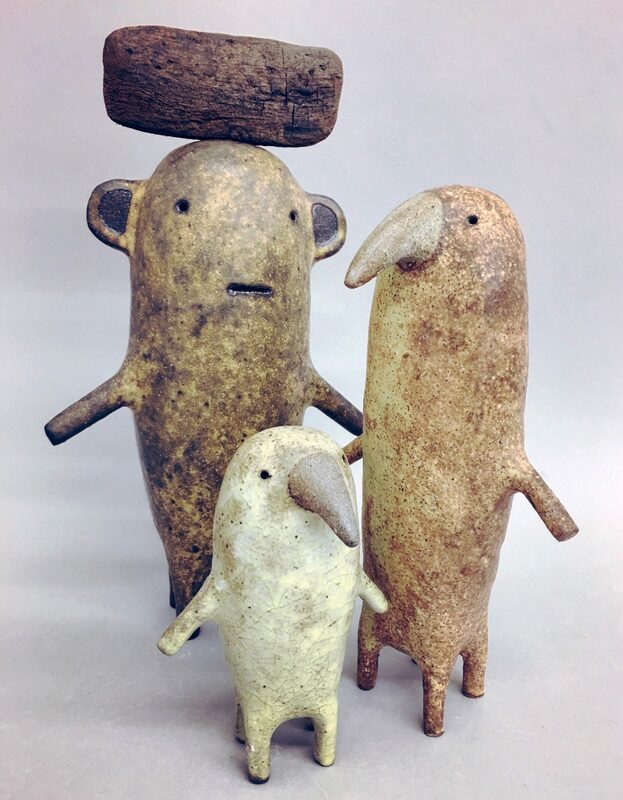 But one day, during a hike, an image came to my mind, of a sculptural herd of un-identified animals that I wanted to create. I had a very clear idea of what they would look like but I did not really know how I could make them. 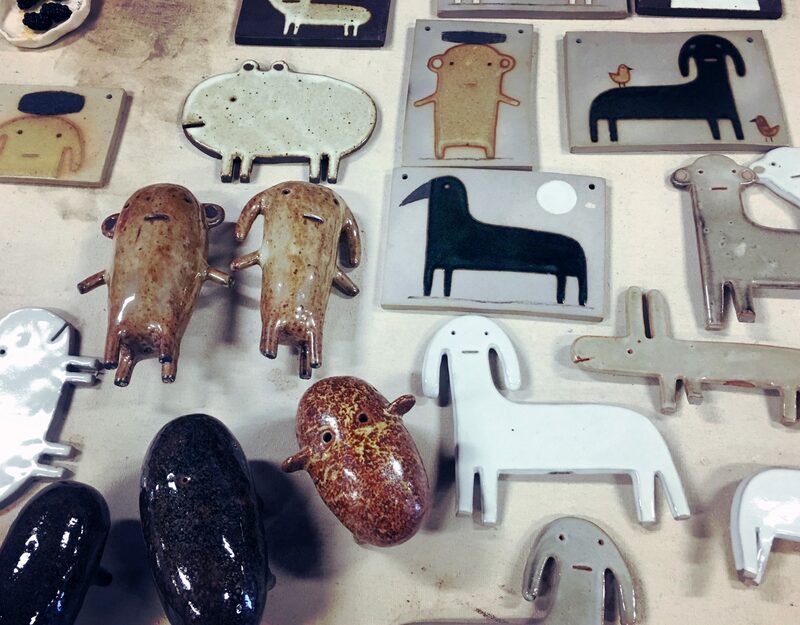 I started looking for a more professional studio and was very lucky to find Echo Ceramics. I started to take classes, and Ki and Yuli who own and run the studio, welcomed me and taught me a lot, especially about high-fire glazing, which I had no experience with, and totally fell in love with. So, I just started making these creatures over and over. That was 7 years ago! 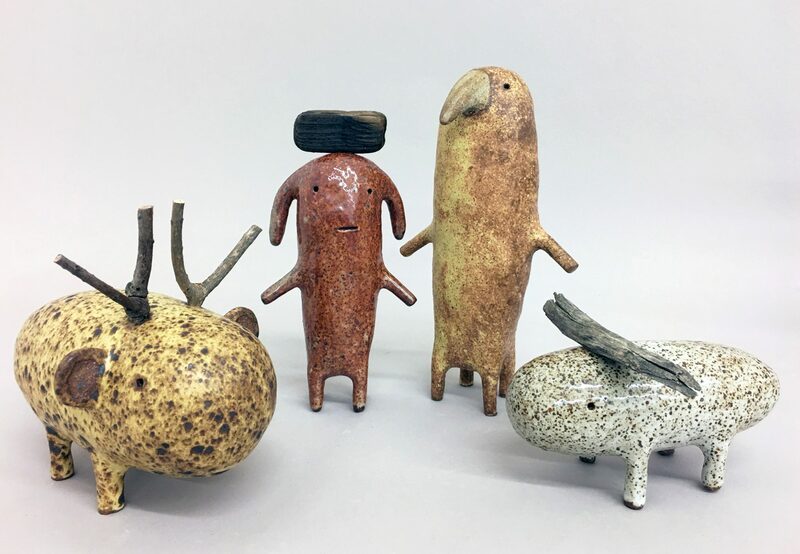 Little too little, a whole new bunch of species have emerged, and now, when I work on a book (which I still do, occasionally), it is from my ceramic work that I get the inspiration, writing my own stories about my creatures. I finally feel that the inspiration is truly mine. Since then, I have been selling and exhibiting my work regularly. 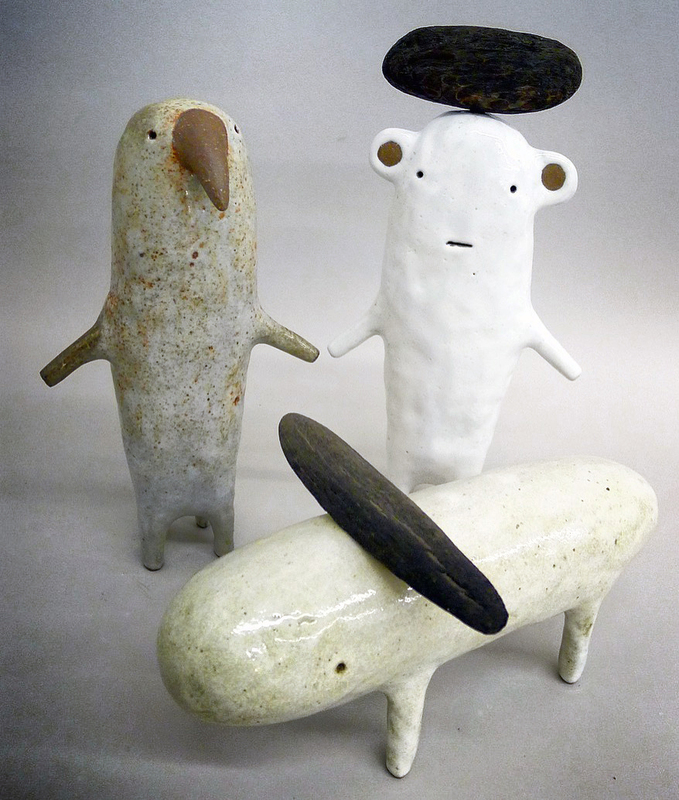 I mostly do ceramics sculptures, imaginary animals adapted or evolved from reality, but nothing that really exists. I love that my work lets me play at being the original creator of new life forms. 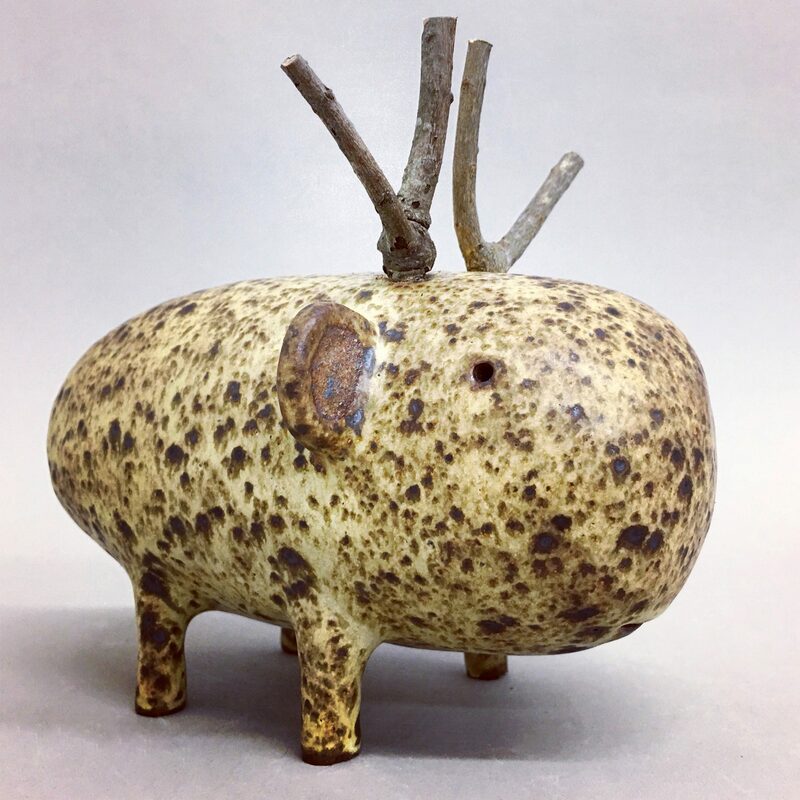 I love that I can, too, enact the evolutionary process by which they struggle to adapt and perfect themselves, as I find myself to continually experiment with their shapes and glazes through incremental changes. That part of the process really fits with my interest in natural history, evolution, and the works and wonders of nature in general. I often find myself reflecting on the ongoing loss of real species we are living through, wishing I could bring my creatures to life and repopulate the planet, with the hope that they would be better adapted at keeping their grounds in a world ever more dominated by humans. I have also always been drawn to what is called “low tech”, and the fact that beautiful and meaningful art can be created out of very simple materials. Early civilizations made wonderful art with clay and pigments. 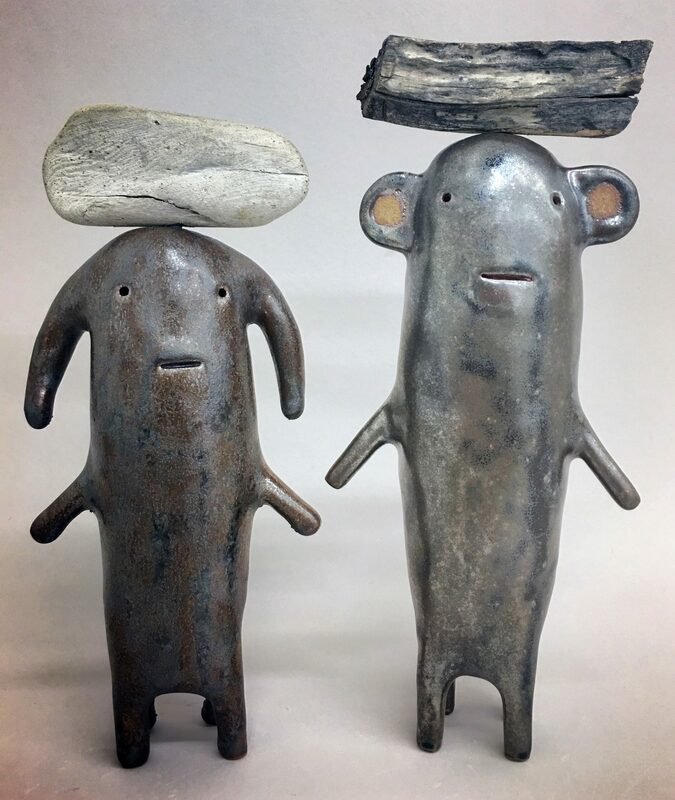 Although I incorporate modern techniques in my work, the process of starting each piece with only my hands and clay makes me feel connected to a very ancient human tradition. I feel compelled to create pieces that, in my mind, are faithful to early human’s preoccupation with other living creatures. 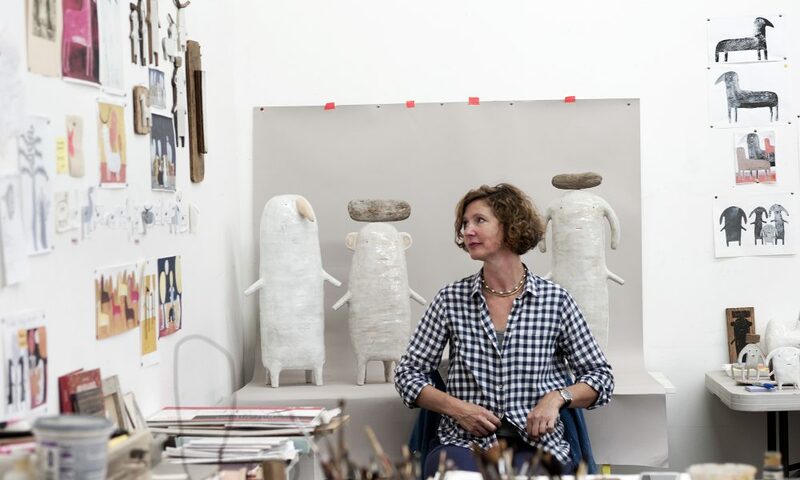 In making my creatures, I feel that I am still connecting to the feelings of awe, mystery and reverence that I see as unifying art from every point of human origins. Low tech also means affordable and often technically accessible and I really believe that it is the way to make art really part of everybody’s life. I hope that my work can inspire people to be doing things themselves. 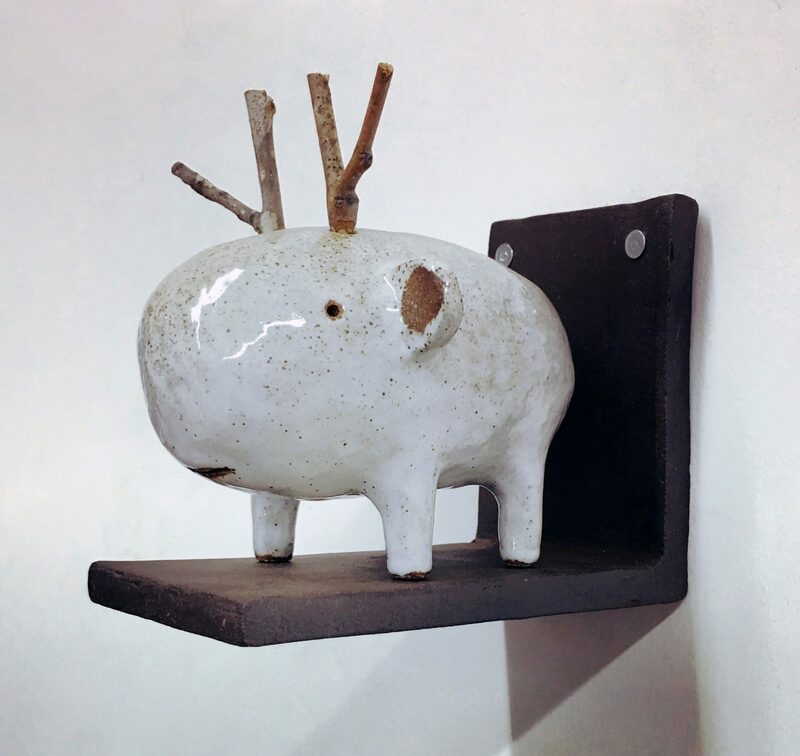 In my ceramics I incorporate pieces of wood that I find everywhere, when hiking, travelling or going to the beach. It all depends on how you look at things, and it doesn’t take much to start to see that there is more than you think there is. With my work, I just want to create an imagined but also familiar and coherent world as if I was one of the first humans to see it. Last month I visited my nephew who just started art school, and the only advice I gave him was: when you are working on a piece, or a project, and in the end, it doesn’t look anything like what you wanted, don’t toss it. Put it aside, out of view, for as long as needed for you to forget what it is that you wanted or expected from it in the first place. Then take a new look at it. You will see something different, and sometimes, it might take your work somewhere new. He already knows that as an artist it is necessary to nourish your imagination and internal life, to be curious and interested, and engaged. Something that I wished I had understood earlier is that creativity follows its own schedule and you must allow the process as much time as it needs even if that is frustrating. It took me a long time to “put things together”, to know what I really wanted to do, and to believe I could do it. It is probably my nature to be slow to connect the dots, but I still think that taking time to reflect is never lost time. 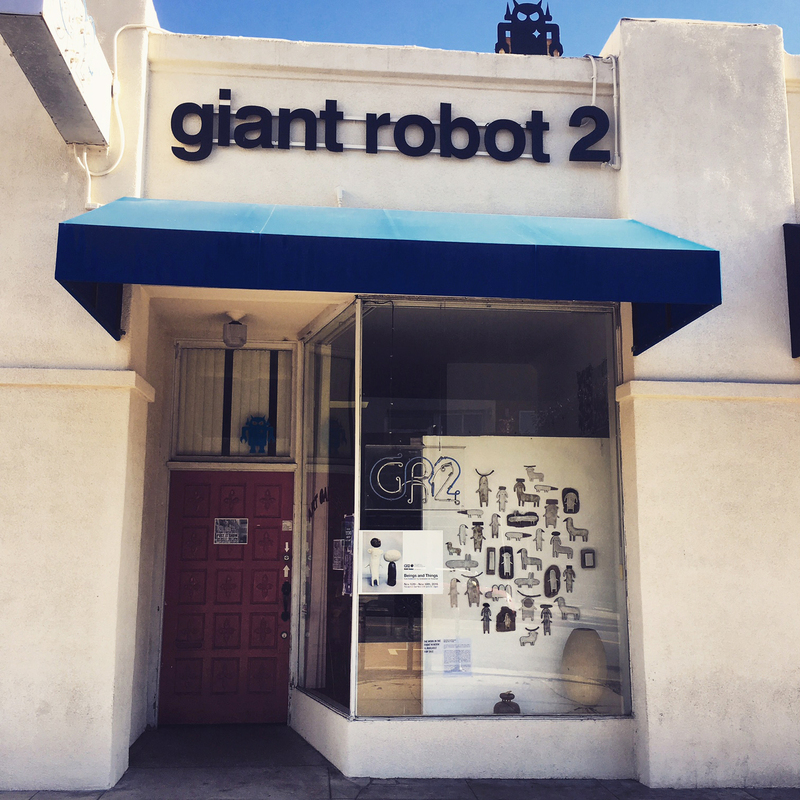 The best place to see my work is at the GR2 gallery, situated 2062 Sawtelle Blvd., Los Angeles CA 90025. Actually, I’m having a solo show there very soon, called “Unfazed”, starting May 5th until the 23rd. And when I’m not having a show, there always are some pieces available, in the gallery as well as online (www.giantrobot.com). Currently I also have some pieces available at Stephanie Chefas Projects gallery in Portland OR, (www.stephaniechefasprojects.com), where I had a small show in February, and at the beautiful furniture and interior design studio of Leslie Shapiro (shapirojoyalstudio.com) in Los Angeles.